Our Revive and Restore Duos help to revitalise your mind and body, morning and night. With the power of aromatherapy to awaken the mind and nature’s purest ingredients to work with your skin type, rejuvenate your skin and recover from winter hibernation with these new reviving skin duos. 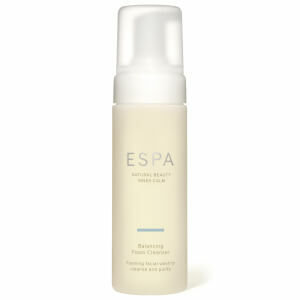 Cleanser: Apply 1-2 pumps to damp skin morning and evening. Work up a lather then rinse away with warm water. Spafresh: Apply to a dry cotton wool pad after cleansing and sweep over face, neck and décolleté to remove any last traces of cleanser. Cleanser: Water (Aqua), Cocamidopropyl Betaine, Coco-Glucoside, Citrus Nobilis (Mandarin Orange) Oil, Phenoxyethanol, Limonene, Sodium Cocoyl Sarcosinate, Caprylyl Glycol, Sodium Chloride, Betaine, Olive Oil Polyglyceryl-6 Esters, Sorbic Acid, Yucca Schidigera Stem Extract, Sodium Benzoate, Phytic Acid, Linalool. Spafresh: Water (Aqua), Polysorbate 20, Alcohol Denat., Glycerin, Phenoxyethanol, Hamamelis Virginiana (Witch Hazel) Leaf Extract, Hydroxypropyltrimonium Honey, Ethylhexylglycerin, Citrus Aurantium Amara (Bitter Orange) Flower Water, Sambucus Nigra Flower Extract, Cupressus Sempervirens Oil, Citrus Limon (Lemon) Peel Oil, Melaleuca Alternifolia (Tea Tree) Leaf Oil, Rosa Damascena Flower Water, Limonene, Lavandula Angustifolia (Lavender) Oil, Mentha Piperita (Peppermint) Oil, Pelargonium Graveolens Flower Oil, Rosmarinus Officinalis (Rosemary) Leaf Oil, Salvia Sclarea (Clary) Oil, Linalool, Thymus Vulgaris (Thyme) Oil, Sodium Hydroxide, Maltodextrin, Citronellol, Sorbic Acid, Geraniol, Chlorophyllin-Copper Complex, Citric Acid, Potassium Sorbate, Benzoic Acid, Dehydroacetic Acid.